​New to IYD? Sign up now for our New Student Special. Classes marked with a star are "Community Gift" sliding-scale classes for all. Your payment of $5-$25 will keep the class running and allow others to experience the same benefit you receive. 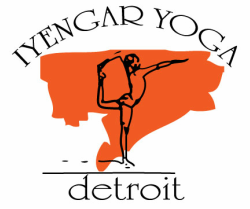 ﻿The ﻿ lessons of Iyengar Yoga, so generously offered by the Iyengar family and the teachers they have trained, are priceless. Let us appreciate this sacred art by giving what we can from the heart. Non-monetary goods and services are also welcome. Keep the gift circulating! In general, students benefit more from classes than private lessons. However, if there are specific issues you are working on that cannot be addressed in a class, contact us for more information.